Item # 315897 Stash Points: 2,895 (?) This is the number of points you get in The Zumiez Stash for purchasing this item. Stash points are redeemable for exclusive rewards only available to Zumiez Stash members. To redeem your points check out the rewards catalog on thestash.zumiez.com. 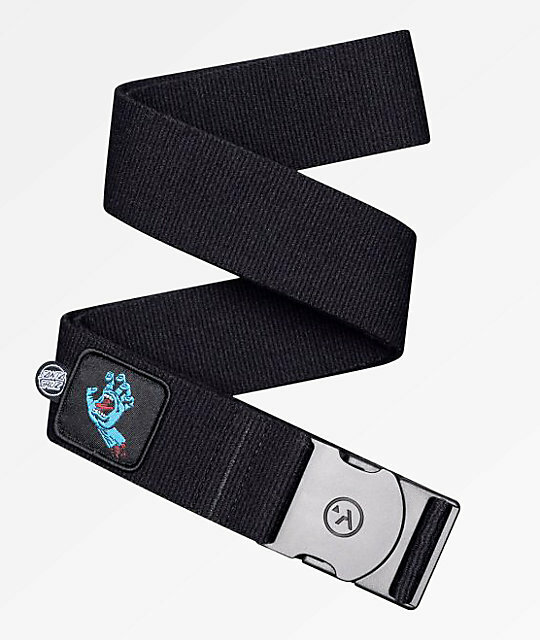 Arcade and Santa Cruz have teamed up to create the Screaming Hand Belt. This Adventure belt features all of your favorite features that Arcade is known for, including a stretch construction and a sturdy, metal free buckle. The design is completed with a woven Santa Cruz Screaming Hand logo patch, creating a collaborative design perfect for all of your adventures. Screaming Hand Belt from Arcade x Santa Cruz. Collaborative design from Arcade & Santa Cruz. 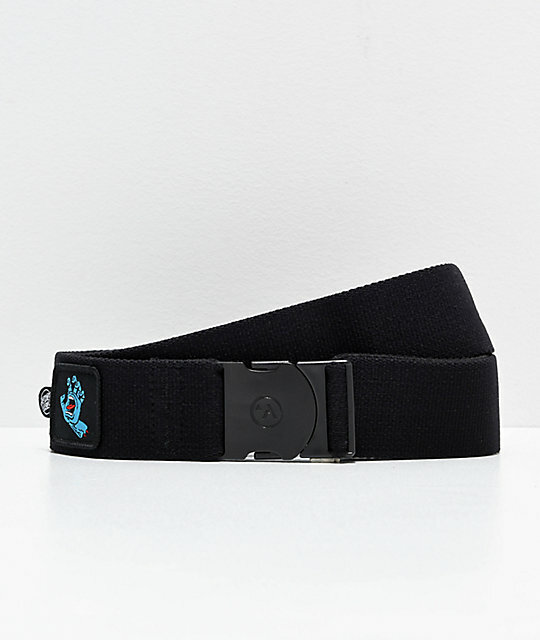 Arcade active stretch clip belt. Santa Cruz Screaming Hand logo patch. Non-slip logo embossed bomb-proof plastic buckle. Reinforced Arcade logo end piece. Fits up to a 40" (101.6cm) waist.